IAP 16: Gay Talese on showing up as a journalist. Part 2 of 2. This episode features the second part of our two-part interview with literary and journalistic legend Gay Talese (click here for part 1). 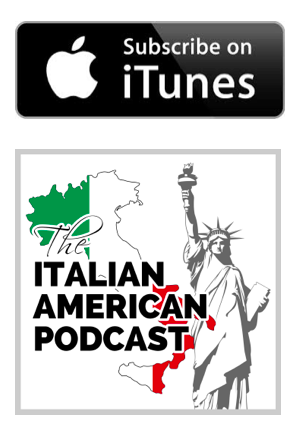 Additionally, in our Italian American Story Segment, we have an interview with Italian-American actress, producer, and television host, Lucia Grillo. 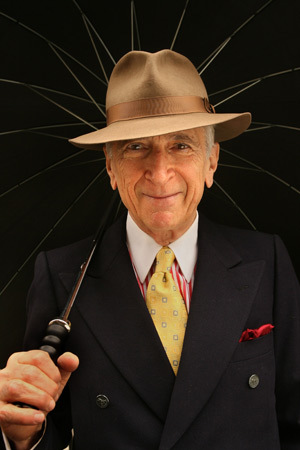 Talese is a bestselling author who has written eleven books. He was a reporter for the New York Times from 1956 to 1965, and since then he has written for the Times, Esquire, The New Yorker, Harper’s Magazine, and other national publications. Lucia Grillo began her theatre studies at the age of fifteen, attending the Lee Strasberg Theatre Institute in New York for seven years. She received her B.F.A. in Acting from New York University’s Tisch School of the Arts, and acted in her first play at the age of six and has since worked in theatre, cinema and television. Grillo founded her own production company, Calabrisella Films and her directorial debut, the short film, “A pena do pana (The Cost of Bread),” stars internationally acclaimed actor, Vincent Schiavelli, and premiered at AFI Fest in Hollywood. She is also an associate producer for the “Italics” television show (CUNY-TV Channel 75 www.cuny.tv). The difference in journalistic styles from earlier in Talese’s career until now. The internet has taken away serendipity in that now you search for and find exactly what you want. You should consider talking to people that don’t think the same way you do, as that is how you grow. How Talese structures his writing. How he starts most of his pieces with a scene. Talese discussed how his parents wanted to assimilate as Americans as quickly as possible. Talese talked about how he lived in Calabria for 6 months learning about his family. Lucia Grillo talks about how her parents were supportive of her non traditional Italian ways. Grillo talks about how she falls outside of the typical Italian immigrant stereotype. Grillo discussed how her creativity came at a young age through support from her family. She discovered a lot about her family through the documentaries she has created. Immigrants want stability, so it was tough for her family to accept her non-traditional career decisions, but Lucia said regardless of that, her parents supported her. It’s important to appreciate where you come from and honor your past and humanity.